Resistors come in many different shapes. Susumu focus on chip resistors. There are many methods to make things thin. Some examples are shown here. 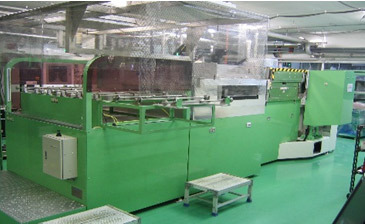 Susumu manufactures resistors from thin film using deposition technologies that make film thickness 1um and down to a few Å. 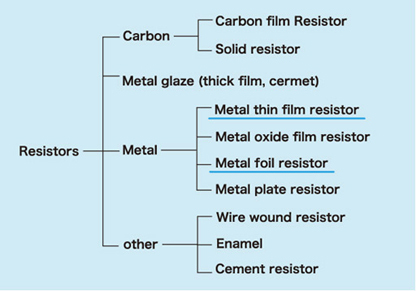 In electronics, there are many thin film deposition methods. Susumu uses several methods depending on the products and materials. 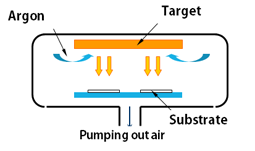 Two main methods, sputtering and plasma assisted chemical vapor deposition are explained here. Argon ions, created by glow discharge under vacuum, sputter out target (materials for the thin film) atoms/molecules. These target atoms/molecules adhere to the substrates and form thin film. This method is ideal for depositing metal alloy thin films and high melting point materials. In plasma (glow discharge), thin film precipitate after a series of chemical reaction. 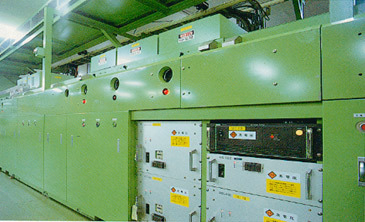 Thin film is formed under relatively low temperature. Any materials, organic or inorganic, that can be made into gas compounds can be deposited. Thin films are deposited with these methods. Thin film technology is not only used for resistors but also used to create internal terminals and protective coating layers.